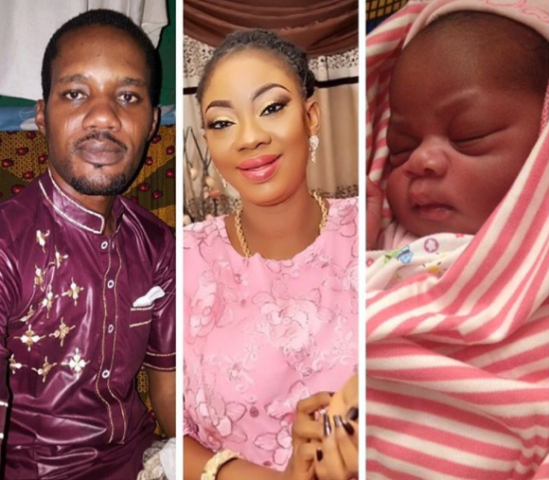 The movie Producer, Seun Egbegbe who is still in prison has welcomed a baby girl with his girlfriend, Onyenike. Pictured above is the adorable baby. “Alhamdulillah for our new born baby girl”. Recall that Seun Egbegbe, and his accomplice Oyekan Ayomide have been in police custody since February 2nd. On 24th of February, Justice Oluremi Oguntoyinbo of the Federal High Court in Lagos granted them a bail of N5 million with two sureties each in a sum of N2.5million. That is four sureties altogether. According to her, one of the sureties must be a civil servant who has attained level 16 while the other surety must be a land owner in any part of Lagos metropolis. The landowner must submit Certificate of Ownership of the landed property and while the civil servant must submit his passport to the court. The four sureties must swear to an affidavit while the house and office addresses and telephone number will be verified by the court. 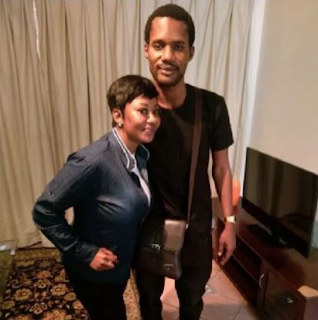 They are yet to fulfill their bail conditions as no one is yet to come forward as surety due to the strict nature of the bail conditions, as it was gathered that no one wants to sign the undertaken on his behalf.